Hey friends! Meet the cute Becca from Derek & Becca Smith! 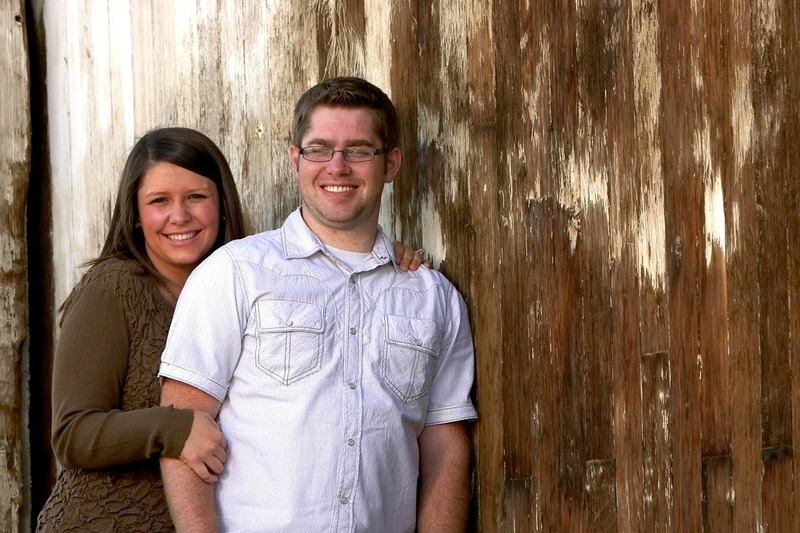 Becca is the sweetest and I am so glad she is taking over my blog for the day! We are unboxing things and organizing all day today and if we are lucky, we will get groceries, hehe. Take a look at her adorable holiday decor! First off, hello Sloanbook readers! Can we just all come to a consensus that Ashley is the cutest thing around? Seriously, she is adorable! 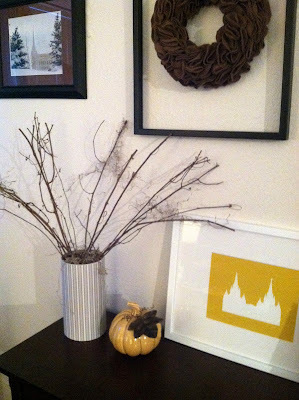 I am really excited to be here sharing some simple, easy, and affordable DIY Fall/Thanksgiving decor! Hopefully you and Ashley can use these in your homes! A little about me.... My name is Becca & I am an elementary school teacher and tutor. I absolutely love being with kids- they make everything better in life. I work super hard to support my husband who is a 3rd year medical student. Come check out our crazy adventures that revolve around medical school, teaching, and finding ways to enjoy each other with our crazy busy schedules! Alright, let's get started! 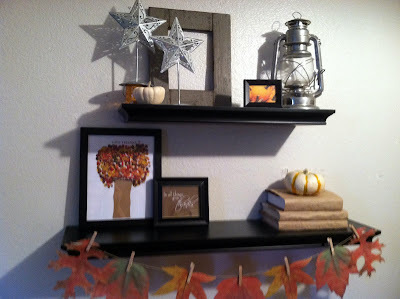 I am going to share with you 6 easy things you can do to make your home beautiful for the Fall season. This is something almost ANYONE can do. I live in Arizona, and although these are fake, you could easily do them with real leaves. All you need is some twine, leaves, and mini- clothes pins, or any other "fastening" device. It's really that easy! I hung one here on my seasonal shelves, and another above our kitchen window. Okay, I feel like this tree needs a major introduction. No, one of my students did not do this. It was all me baby. Art has always been challenging for me, but when I saw this tutorial on Pinterest, I had to give a a whirl. It is so simple, fun, and easy. All you need is paint & q-tips! If you have children, this is a great way for them to help with your decor. 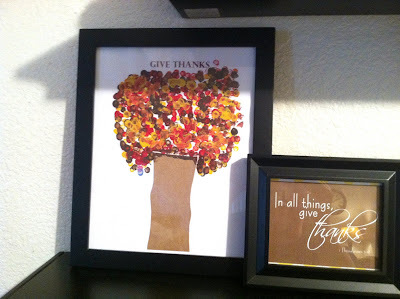 Also, take advantage of free printables on other blogs! I get tons of cute sayings, pictures, and subway art & use those in your home. This might seem really simple and obvious, but it's important to know that you don't need to be 100% matchy, matchy. 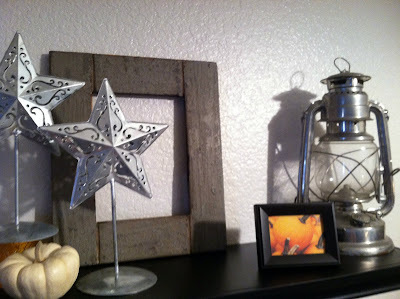 I scored this lantern at a rummage sale and paired it with all types of seasonal decor. These metal stars were actually a Target $1 bin find. I dug them out for the fall & winter months. The old frame was actually found in the trash-score! Now, none of this really screams "FALL", but tied together with some pumpkins, it works. Never doubt your gut instinct, just go with it! This is something I pulled together last weekend. 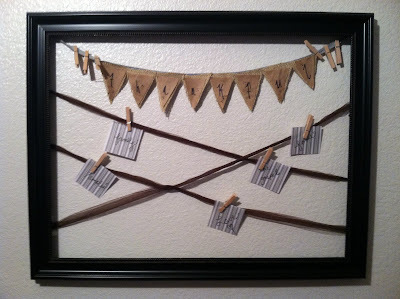 I took an old frame & hot glued some ribbon to the back. 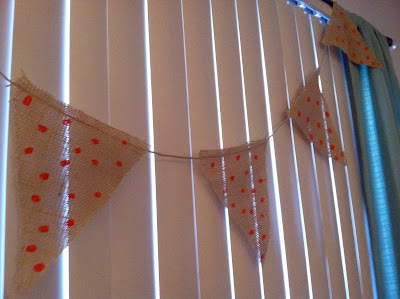 I then made a small burlap banner that reads "thankful", and strung it to the top. We have this hanging in our dining area, and every night at dinner, we write down something we are thankful for and put it up o the board. It's fun to see what we come up with everyday! This is also something kids can help out with. Early this week we finished off some oatmeal and I just couldn't toss it out. I covered it with some scrapbook paper, stuck some twigs inside, and called it good. Seriously, the easiest project ever! We actually made & used these banner for our Ward Halloween party. They were so simple to make. We just cut a ton of triangles, and then painted on some cute little orange polka dots. When they dried, we glued it on some twine, and ta-da! A simple banner that would make any home look just a little more festive. Well, there you have it! Hopefully these ideas are all something you are willing to try out. Trust me, none of these projects cost more than a couple dollars. When you are on a med school budget DIY & cheap is the only way to go! Wow, I love Becca's cheap holiday decor! I really do. Now I need to put everything away because right now, I'm really wanting to be crafty! Okay it will be awhile for sure... Puh-lease go check out her cute blog here! You will love it, okay see ya! Love it! So simple yet they had so much!! I can't wait to get decorating!! Becca! You are too cute. I was so excited to see your guest post so everyone can know how fabulous you really are! These ideas are so cute. I hope you and Derek are doing well! Cute touches and simple too! I am amazed at how beautiful and simple these projects are! Something I could definitely do! Great idea I'll surly try this in our kitchen. Thanks. A banner like that will make my kitchen look bigger. Thanks.